Assam chief minister Sarbananda Sonowal lambasted the Congress for its 70 years of “mis-governance and corruption” and alleged that the Congress leaders have snatched the benefits of government schemes from the poor ranging from PMAY scheme to every other pro-poor scheme. 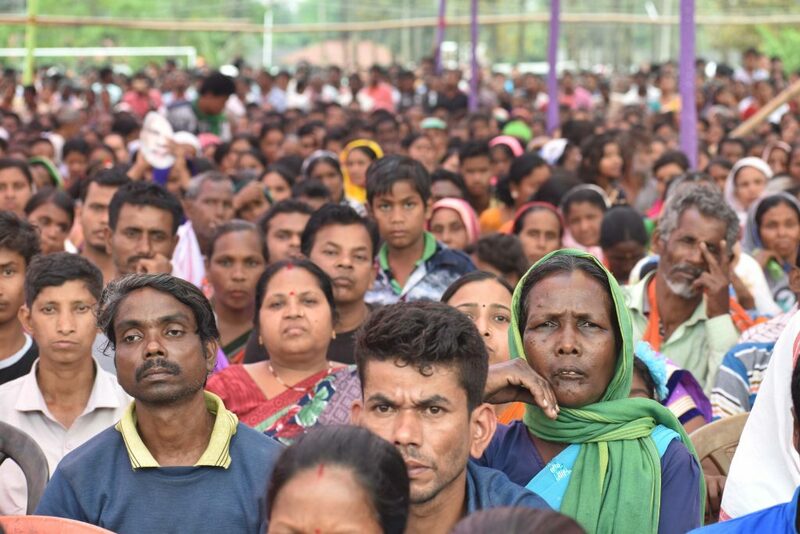 While addressing an election campaign rally for party’s Mangaldai Lok Sabha candidate Dilip Saikia, chief minister Sonowal said the 15 years of Tarun Gogoi-led Congress government in Assam has “miserably failed” in changing the fate of poverty-stricken poor people. Sonowal also asserted that whatever Prime Minister Narendra Modi has done for the people of Assam in five years, be it completion of Bogibeel bridge, foundation stone laying of AIIMS at Changsari to various other developmental works all have contributed to the rapid growth of the state. “The Congress always neglects Northeast and Assam, and could do nothing in their 70 years of rule,” said chief minister Sonowal on Sunday while addressing an election campaign rally at Paneri Chah Bagicha under Paneri LAC of Udalguri district for BJP’s Mangaldai LS candidate Saikia. Mangaldai Lok Sabha constituency will go to polls in second phase on April 18. “Prime Minister Narendra Modi has considered the people of Assam and the Northeast as very close to his heart and visited the state no less than 27 times. 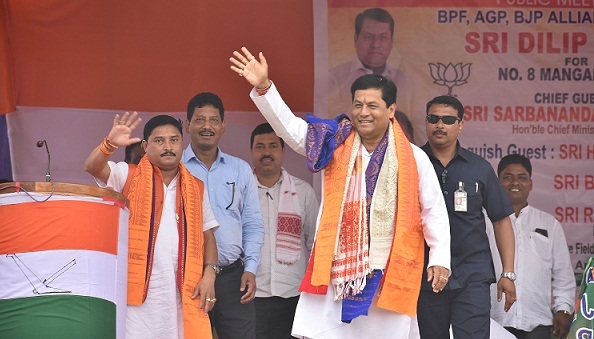 If people of this region join hands to elect the BJP-BPF-AGP alliance candidate, I assure that I will convince PM Modi to visit Udalguri and will come back to wholeheartedly offer my sincere gratitude to the people and will gift the region with packages of developmental schemes ,” said Sonowal. He further stated that the bank accounts of 8 lakhs tea garden workers, opened during demonitisation under Pradhan Mantri Jan Dhan Yojana, have received Rs 5,000 each. He also assured that the ST status to the Adivasis will be given priority and the issue will be taken into consideration by PM Modi if voted to power. The president of the All Adivasi Students’ Association of Assam (AASAA), Pradip Nag, also joined the election campaign and extended open support to the BJP candidate Dilip Saikia. He came down heavily on the Congress for using Adivasis as vote bank for decades and also criticized for identifying Adivasis with fictional ‘tea tribe’ status. Students’ body is in favour of saffron party. The election campaign rally was also addressed by candidate Saikia who said that the Narendra Modi-led saffron party has un-leashed a renaissance period of growth and development in Assam along with the rest of the nation and under the leadership of Modi, India as a nation has gained global attention as a emerging super power and the people at large should extend their support to BJP for helping them in taking Assam to greater heights by leaps and bounds. The rally, organized by Khalingduar BPF, was attended by more than four thousand people and was also addressed by Paneri MLA Kamali Basumatari and BTC EM Bonjar Daimari; Jagadish Sarkar; Kalaigaon MLA,Maheswar Boro; Mazbat MLA Charan Boro among others.